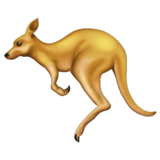 Emojis Of 2018: Bagels, Kangaroos, Redheads Are In. 'Frowning Pile Of Poo' Is Out The committee that selects emojis for 2018 has narrowed down its selection for the new batch. Dozens of new emojis are planned for 2018. One of the most popular additions? Redheads. 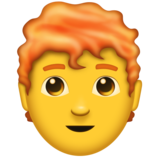 "People felt like they were getting left out," says Jeremy Burge of the Unicode Emoji Subcommittee. It's part of the Unicode Consortium, which sets the international standards for emojis, among other things. "Even though I don't have red hair myself, that was the number one request we got for the last two years running. So I felt like I should step up and try and make that happen," Burge tells NPR's Weekend All Things Considered. People with red hair, white hair and no hair at all are likely to see themselves represented in 2018. A softball. It's "differentiated from a baseball by size (it is larger, though hard to tell in emoji form) and color (yellow, not white)," according to Emojipedia, a website devoted to every minute change that has happened to the 2,600 emojis over the years. A "Face With Smiling Eyes And Party Horn And Party Hat." 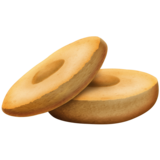 A bagel emoji. No word on cream cheese, though. Sixty-seven emojis made the initial list of new additions, but since then, the number has been winnowed down by three. The three emojis that didn't make the cut. Michael Everson was one of the impassioned commenters who helped kill the "Frowning Pile Of Poo." "Why do we need to send a picture of this!" he tells NPR. "It's just offensive, needlessly offensive and pointless. It's not cute, it's not funny, it isn't good in any particular way." The final decision about the 2018 emoji list will be made at the Unicode Technical Meeting in January, according to Emojipedia, which Burge runs. 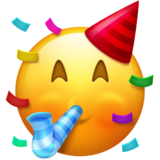 Emojipedia writes that we can expect the new picks "to roll out on major platforms in the second half of 2018."